Client Portal - Share. Collaborate. Deliver. 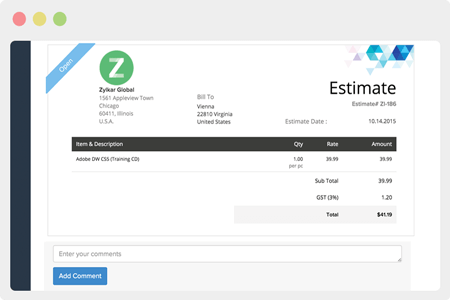 Share recent transactions, accelerate estimate approval process, capture feedback, and let your clients make bulk payments with the Client Portal. Ask for feedback and identify areas that need improvement. Promote your business by sharing positive feedback on social media platforms. 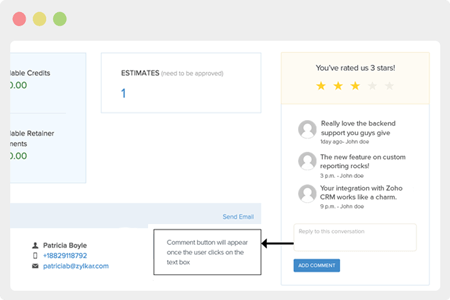 Share quotes with clients and start a discussion to speed up estimate approvals. Say goodbye to lengthy and time-consuming email threads. Make the payment process simple. 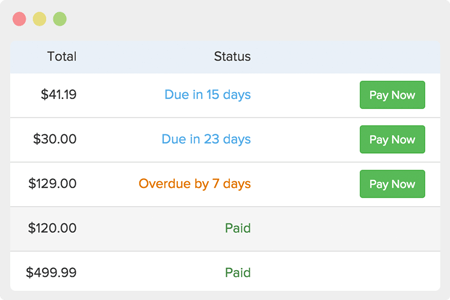 Along with partial and full payment options, the portal lets your clients make bulk payments with a single click. Make payments easier for them, so you can get paid faster. Add more hours to your day. 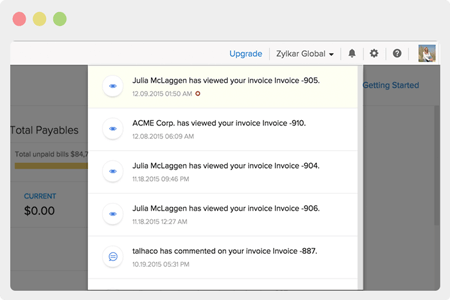 Free yourself from requests to send copies of invoices, estimates and project details. Your clients will have access to all of them in the portal. Stay informed with real-time alerts. 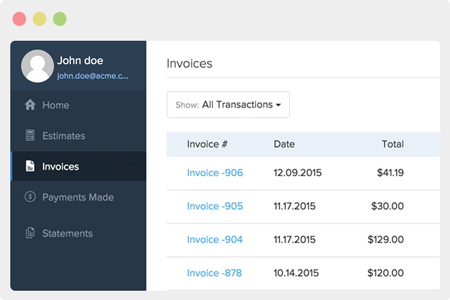 Get notified when a client views, accepts, declines, comments, or makes payments. There's no need to worry about the status of pending payments. 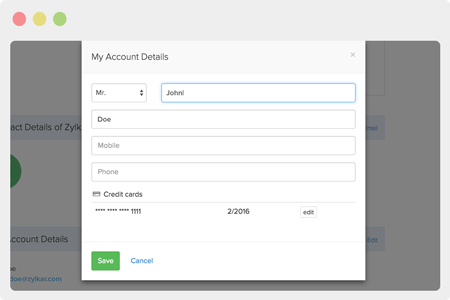 The portal lets your clients update their personal information. It offers a convenient way for them to print and download past transactions to forward them to their contacts. Better communication and faster way to work!